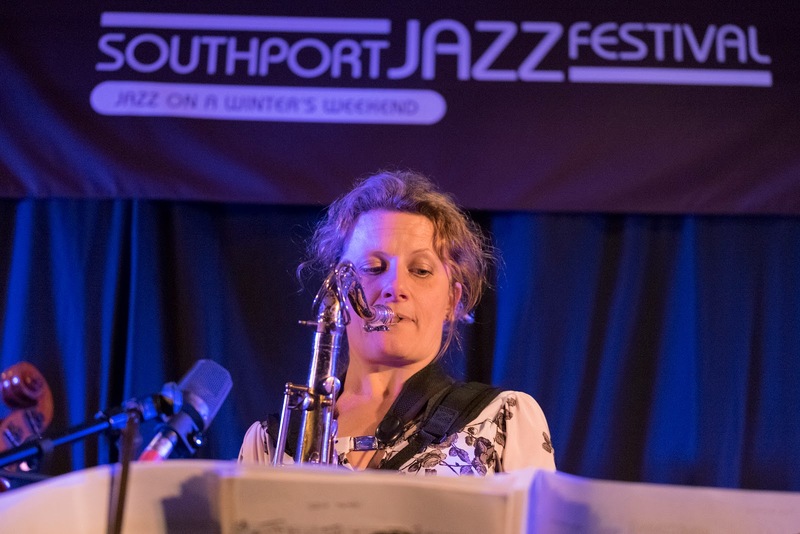 bebop spoken here: Southport Jazz Festival: Alan Barnes' Octet - February 5. 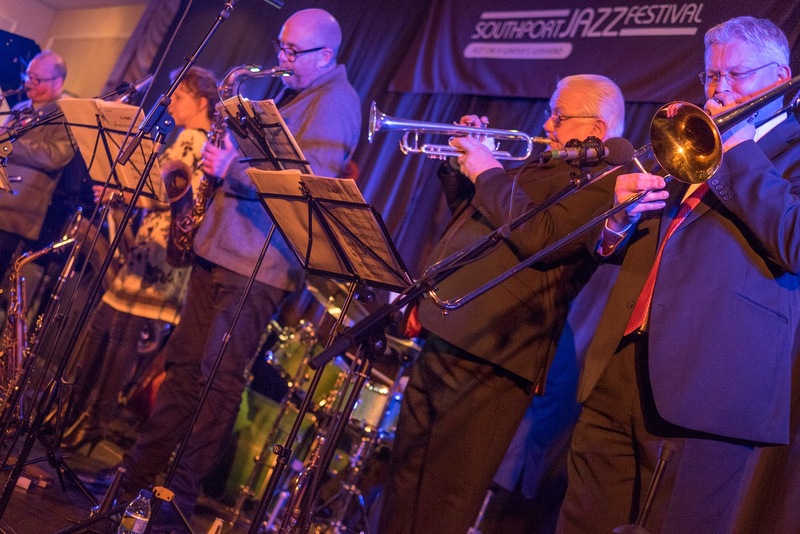 Southport Jazz Festival: Alan Barnes' Octet - February 5. Alan Barnes, Robert Fowler, Karen Sharpe (saxes); Bruce Adams (trumpet); Mark Nightingale (trombone); Dave Newton (piano); SimonThorpe (bass); Clark Tracey (drums). This was exactly the same band the North East Jazz fraternity are still talking about after their triumphant Christmas Carol Concert at Ushaw College in December. That piece featured prominently here, Barnes confirming that playing Southport is like Christmas, alongside excerpts from his Sherlock Holmes Suite and a forthcoming commission about the Grimsby Fishing Industry. He also played a Moment’s Notice by Coltrane which, he advised, will be how much notice we get when Trump presses the button. And apparently, there's a Trump Suite to look forward to in the future. Barnes, in Jazz terms, is a national treasure; the genuine article, the real deal. A hilariously grumpy old Jazzman, forewarning Churchillian like, to beware Jazz without blues, sticking to his own path in the Jazz tradition, while constantly forging ahead with his own music, always quality, always with integrity and always with a story to tell. Derek Nash said the night before you couldn't have a festival without Alan Barnes, and certainly that festival would be diminished. As always, at Southport the humour was working, the alto yearning and the virtuosity certain. It's also an all-star band, the third in a row that day to have a lone female, making three out of twenty-nine which I suppose is up historically so at least we're going in the right direction. 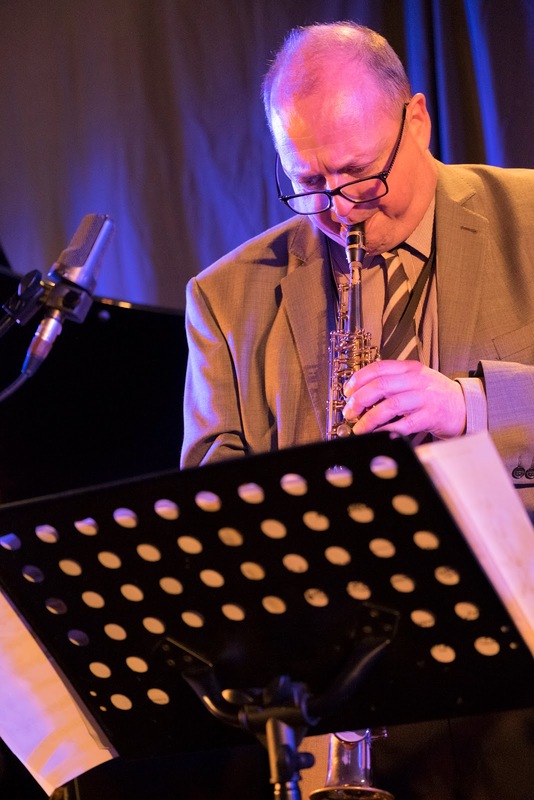 At Ushaw, he described Mark Nightingale as one of the best trombone players in the world, there's his old sparring mate on trumpet and two of his favourite saxophonists, including eye candy in the shape of Robert Fowler (sic). Where there's interplay it reminds me of those great Mingus records of the late fifties. When the five of them all play together, it's a sound to behold. The rhythm section are just as awesome. At the end he said it was great that people still listen to music, which is what it's for, and it isn't lost on me that I'm trying to write about music, which isn't what it's for - writing about - but I'm also aware that this is relevant to many of the recurring themes in my reviews. I'm sure everywhere he goes is like a home crowd and this was no exception. He's due in Durham on Friday 10 at the Gala Lunchtime gig with Paul Edis, but tickets are long since sold out. He's then playing Darlington on the evening with Paul’s trio and a certain special guest.